If you need root canal treatment in the Toronto area, contact our office today to schedule a consultation. Whether you call it pop, soda, soft drink, or something else, these terms all refer to a sugary, carbonated drink popular all over the country. 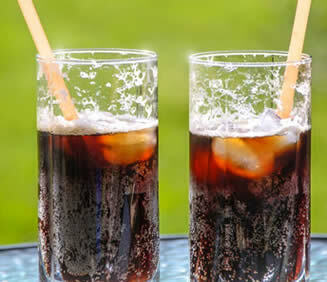 It is estimated that Americans consume over 13 billion gallons of soft drinks each year. These beverages can cause serious health problems, including negative effects on your oral health. Soft drinks are one of the most significant reasons for tooth decay, and it impacts all age groups. From babies drinking it out of bottles to teenagers drinking it all day long to older adults sipping it in retirement homes, it is deteriorating tooth enamel and eroding gums of everyone who consumes it. Why are soft drinks harmful? The high sugar content in the drinks is the root cause of trouble, and the high acid content adds to the threat. The sugar combines with bacteria in your mouth to create an acid, which adds to the acid from the drink itself. Then this mixture attacks your teeth. Each time you take a drink of the carbonated beverage, an acid attack begins in your mouth. During this time, your tooth enamel is weakened and cavities are just waiting to form. You may think that the risk goes away by drinking sugar-free soft drinks. Although these are less harmful, they are still acidic and can lead to decay. How can I avoid harming my teeth? Set a good example. Drink alternatives yourself and encourage your kids to do the same. Sip with straws. This helps keep the sugar from direct contact with your teeth. Rinse with water. After drinking a soda, rinse your mouth with water to reduce the amount of sugar and acid hanging onto your teeth and gums. Use fluoride toothpaste and mouth rinse. Using fluoride in your daily dental routine helps to reduce decay and strengthen enamel. Also ask your dentist about the possible need for professional fluoride treatments. General dentist in Toronto – Schedule your appointment today. Nobody is happy with yellow or brown teeth. Ugly stains from smoking or consuming foods and drinks prone to discoloring your teeth can make you a good candidate for teeth whitening. There are many techniques available to restore your bright smile. The main two categories of teeth whitening are either at-home kits or professional treatment in a dental office. Let’s learn about these to see which you’d like to use to brighten your smile. There are a variety of products you can try yourself to whiten your teeth. These treatments usually take a few weeks of use before your teeth are noticeably whiter. Also remember that most of these products cannot achieve as high of a level of whiteness as those performed professionally. Kits – whitening kits contain a tooth mold and gel to place inside the mold. You wear the filled mold for about 30 minutes for 2-3 weeks. Strips – thin whitening strips are coated with peroxide gel, and then you apply the strips directly to your teeth for 30 minutes for 14 days. Results become evident in a few days and last about four months. Toothpaste – brushing with whitening toothpaste must be done consistently and you must be patient because reaching the desired outcome usually takes a couple of months. Treatments done by a dentist are the fastest and most effective way to regain your pearly whites. 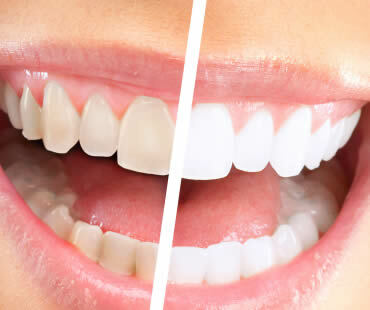 Laser whitening – the dentist coats your teeth with a hydrogen peroxide solution and then shines a laser light on them. This oxidizes the stains and gives them a whiter appearance. Porcelain veneers – if your teeth are severely stained and other whitening techniques haven’t done the trick, your dentist may recommend porcelain veneers. These shells permanently cover your teeth and provide a beautiful smile. 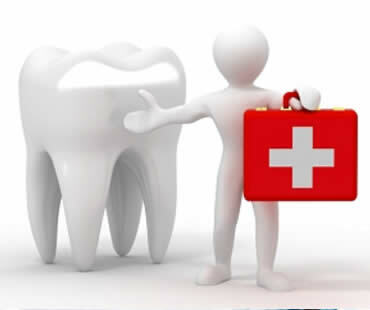 If you have a dental emergency, contact our Toronto dentists office. Beautiful smiles with sparkling, straight teeth are common sights these days. Many people seek various treatments to help improve the appearance of their smile, and one of the popular choices is dental veneers. Read more to find out about this quick and painless way to transform your look, and obtain a smile that others envy. A very thin porcelain shell is permanently attached to the fronts of your teeth with a durable dental adhesive. Veneers are stain resistant and can be as white as you choose. These natural-looking restorations can hide chipped teeth, gaps, misaligned teeth, and discolorations. A small amount of your tooth enamel is removed to allow your dentist to properly place your veneers. A model of your teeth is created to be used to create perfect veneers customized to your mouth. On your next dental visit, a solution will be placed on your teeth to promote bonding. Then the veneers are firmly attached, and there is no downtime or recovery necessary. Veneers should be treated like your natural teeth. That means they can be damaged by chewing hard objects like ice or biting your nails. Dental hygiene tasks remain the same. Dentists recommend that you brush twice a day and floss daily to clean your teeth and gums, and to prevent plaque buildup and tooth decay. Maintain regular checkups at your dentist for examinations and cleanings. If properly cared for, your veneers should last many years. Preserving the bone in your jaw and face is of utmost importance to your cosmetic dentist, and as such, treatments that preserve bone are preferred over those that lead to bone shrinkage, known as resorption. Dental implants preserve bone by mimicking the tooth’s natural roots, stimulating and preserving the bone. As part of the healing process following surgical placement, the jawbone fuses directly to the implant. Most often made of titanium, dental implants provide a very stable foundation for a replacement tooth. This foundation is so stable that it can serve as an anchor point for dental bridgework and will feel, look, and function as your natural tooth would. The process of implant to bone fusion is known as “osseointegration.” Fusion is primarily dependent upon the quality of bone surrounding the implant, and can be achieved in three to nine months following dental implant treatment. Excessive smoking or drinking can stunt the healing process and lead to complications. Because bone resorption is prevented with dental implants, your facial structure will not collapse and your facial shape will not change. 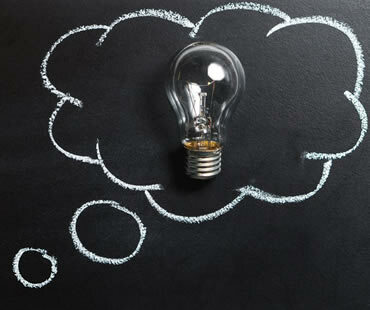 Missing teeth that are replaced by implants avoid other problems commonly associated with tooth loss, including other teeth shifting into the open spaces created by the missing teeth, and functional problems with the jaw joints and bite alignment. Once a tooth is extracted or falls out, a great deal of the bone in the area will shrink, or resorb over the coming year. Shrinkage occurs in a horizontal as well as vertical dimension. Most resorption occurs within the first two to three months following tooth loss. 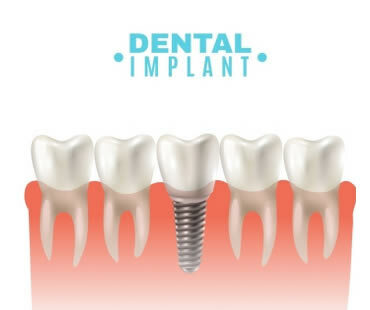 When a cosmetic dentist replaces that tooth immediately with a titanium dental implant, the bone fuses around the implant, significantly reducing bone shrinkage. Dental implants are the only restorative treatment that preserves and maintains bone. 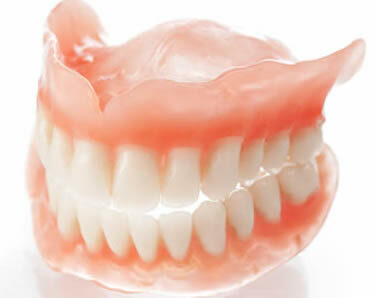 Dentures and partial dentures can accelerate the process of bone shrinkage as a result of pressure on the underlying mouth structures as you talk or eat. When you look your best, you exude confidence and grace. A vibrant, white smile can add to the image you convey. Cosmetic dentistry has risen in popularity because it allows people to transform their appearances. Make an appointment with your cosmetic dentist in Toronto for a consultation to discuss your smile enhancement options. While some patients choose a complete smile makeover, any of the following procedures can take your smile from dull to dynamite. The aging process as well as lifestyle choices can dull your smile. With teeth whitening, you can remove stains and look years younger. Most dentists recommend professional teeth whitening, which you can accomplish through in-office sessions or take-home kits. If you have small chips, gaps, or cracks in your smile, your dentist may suggest dental bonding. To repair the damaged area, your dentist will use a tooth-colored resin, which is hardened with a special light. Dental bonding blends in with your natural teeth and restores the look of your smile. Created from fine dental porcelain, veneers can totally change your appearance. With porcelain veneers, your dentist can alter the size, shape, and color of your teeth. Depending on your situation, the doctor may suggest custom veneers designed just for your smile, or no-prep veneers, which can be bonded to your teeth but removed at a later time. Over time, metal fillings can crack and seep, causing oral health problems, as well as impacting your smile’s appearance. Tooth-colored fillings are constructed to match your original teeth so they blend in seamlessly. Because they bond to the tooth, composite fillings won’t change shape or leak. For straighter teeth in three to nine months, consider accelerated orthodontics. Usually, accelerated orthodontics works best for people with mild issues to correct or for those who want to straighten front teeth for an important event like a wedding. Schedule a dental cleaning appointment today at our Toronto dentists office. If you are considering brightening your smile, talk to Toronto teeth whitening dentist Dr. Cruz to see what product is best suited to your smile needs!